Shennongjia, Home to the Wild Men? Shennongjia is a very famous place in China for at least two reasons. It's a treasure trove of wildlife renowned since Emperor Shennong. He visited the mountains, searching for herbs and using a ladder to collect some of the most precious ones from the rocks. Shennong is best known as the writer of one of the first Materia Medica. Hence the name Shennongjia, meaning the "Ladder of Shennong." But even though an addicted botanist, this was not the only reason the place was high on his list. In fact, Shennongjia is also famous for being home to the "Yeren" or wild men. Somebody had already heard something about that but didn't know what to make of it. In several mountain ranges from all over the world there are stories of hairy wild men roaming. Yeti in the Himalayas and Sasquatch on the US west coast are both members of this "wild men" family. Many people think that these are only stories and many sightings are probably nothing more than lies. But such stories have existed since the Middle Ages in Europe and Asia. Carvings of such creatures exist on some cathedrals. It's quite surprising to consider that people in very distant places believed the same thing. So whether the story is in the human mind or a reality is hard to tell. Have you ever had an interest in it since your childhood? If you come to shennongjia, you will not to be disappointed. even if you didn't see the wild men. Shennongjia is situated in the west of Hubei Province, not far from the entrance to the Three Gorges. It's part of a number of mountain ranges that close the Sichuan Basin on its eastern side. Shennongjia is the higher point at about 3,000 metres in elevation. All the mountains are karstic, a kind of lime that turns into a gigantic spongelike form with cavities that range from the size of your finger to those of caves. For those who are familiar with Swiss cheese, karst formations will be quite familiar. In many places, it's very hard to walk because such rocks are interlaced with dense scrub and bamboo. Many mountain ranges all over the world have such geology. 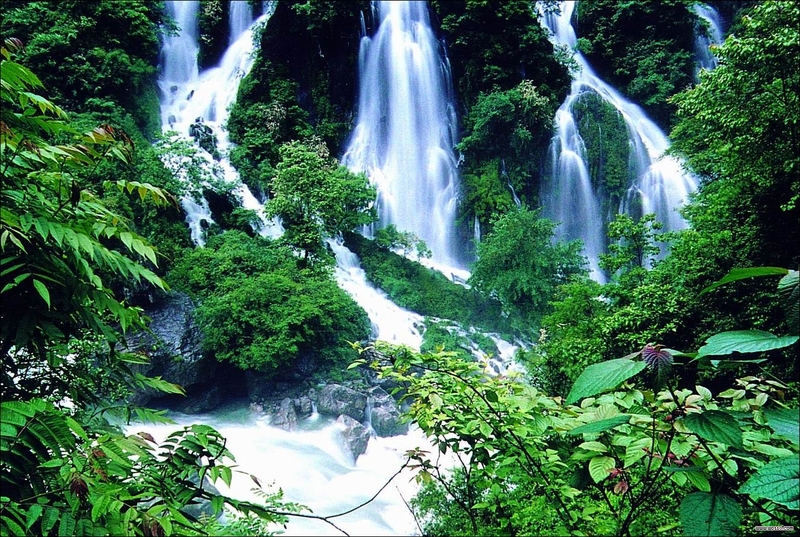 · Shennongjia, Home to the Wild Men? · Is the Internet killing culture?